Following the success of its inaugural Kids' Choice Sports awards show this summer, Nickelodeon has launched NickSports, a weekly primetime programming block that debuts today on Nicktoons. Following the success of its inaugural Kids’ Choice Sports awards show this summer, Nickelodeon has launched NickSports, a weekly primetime programming block that debuts today on Nicktoons. Airing every Wednesday from 9 p.m. to 11 p.m. 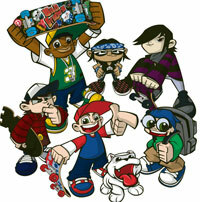 ET, the new block will feature a balance of long- and short-form original and acquired sports-themed content for kids and families from the National Football League (NFL), Major League Soccer (MLS) and NASCAR, as well as new episodes from season two of Nicktoons’ hit animated series Wild Grinders and season three of Nick/NFL toon NFL Rush Zone. The block will also showcase sports documentaries and kicks off with the world TV premiere of Little Ballers, an acclaimed doc from executive producers Lupe Fiasco and NBA star Amare Stoudemire that follows four 11-year-old boys and their coach as they aim to win a national championship in the Amateur Athletic Union (AAU). Among the block’s acquired theatrical movies are hit titles such as Bend it Like Beckham, Space Jam, Cool Runnings and Speed Racer. 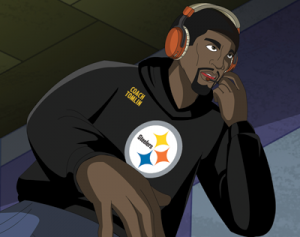 For short-form content, NickSports will launch parodies, sketches and street-style interviews that get behind the personalities of pro athletes including NBAer Charlie Villanueva, NFLers Jason and Devin McCourty, and Olympic figure skater Sasha Cohen. Nick has long history of working with pro sports leagues and world-class athletes with pro-social initiatives such as NFL PLAY 60 and Worldwide Day of Play. Its first Kids’ Choice Sports show continued the tradition with 2.7 million total viewers and saw superstars including David Beckham, Kevin Durant, Gabby Douglas and Serena Williams take home awards.